Autumn is rolling in. If you live in a cooler part of the country, the leaves are turning red, the air is getting crisp, and kids have gone back to school. “But wait!” you think to yourself, “I wasn’t ready to say goodbye to summer yet!”Have no fear. For those of us who want to hang onto the bliss of long summer days for as long as we can, let me present this delicious, completely raw vegan berry cheesecake! 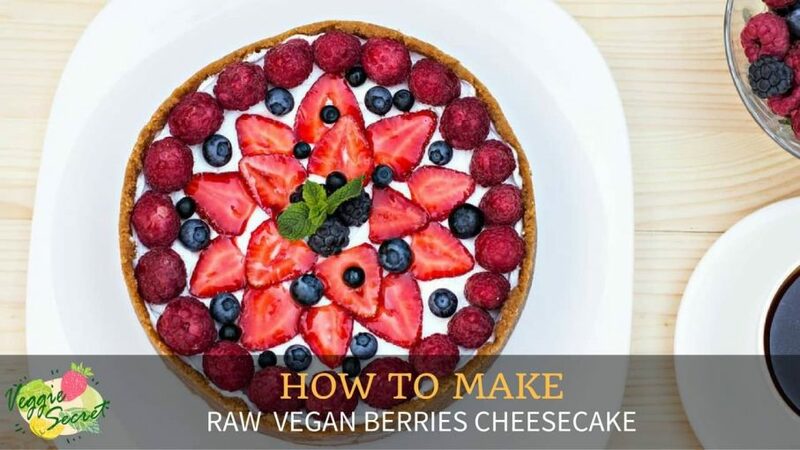 This berry cheesecake is filled with bright, fruity flavors that just scream of summer, and since it is 100% raw and made from completely natural ingredients, it’s a delicious dessert that you can indulge in 100% guilt free. Why Does This Pie Taste So Great? The dates and crunchy nuts of the crust are decadently sweet and filling, with an almost cookie dough like texture. So yummy, you might find yourself eating the pie crust mixture directly out of the pan, without a topping. I have to admit I’ve done that a few times. It’s okay, you can always make more. The pie is filled with a luxurious, velvety cream made of cashews, and sweetened with maple syrup and lemon juice. It is tart and sweet and perfect. You’ll probably want to make extra, because this pie just begs to be gobbled up. And of course, the fresh toppings are the perfect homage to summer days gone by. 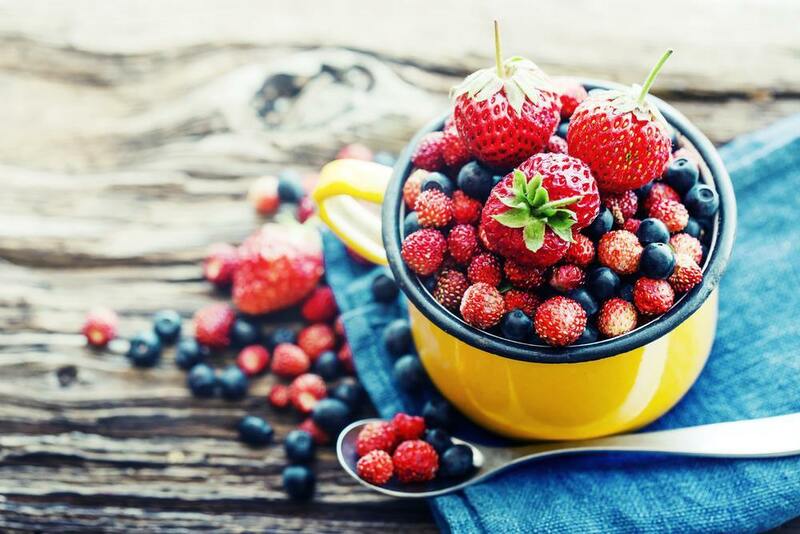 Fresh berries bring a sweet tartness to the mix that will make each mouthful of this incredible dessert a burst of summer. One of the best things about eating raw vegan desserts is that along with your delicious taste bud explosion, you also get boat loads of health benefits! The dates in this pie provide you with long last energy and plenty of dietary fiber. The nuts such as almonds, cashews, and macadamias will provide you with proteins, and vital nutrients such as magnesium and vitamin E. And don’t forget the antioxidant filled berries! This pie tastes great and helps you fight off cancer cells. There are so many reasons to indulge. So, without further ado, let’s get to the recipe! 1. Soak the cashews, almonds, and macadamia nuts, in separate bowls, for at least 2 hours in water. Strain and rinse. 2. 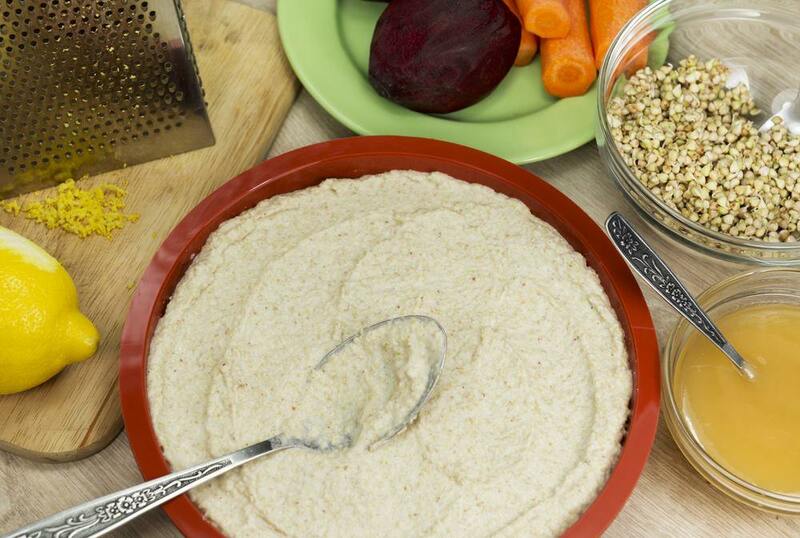 To make the crust: combine the dates, almonds, macadamias, and salt in a high powered blender. Blend on high for 5 minutes, or until it reaches a nearly smooth, sticky consistency. You may need to stop the blender each minute to push the mixture down the sides. If the blender is struggling, add a small amount of water. 3. Remove the crust mixture from the blender and spread into the pie tray, covering the whole tray evenly. Place tray in the freezer to cool. 4. To make the filling: In a clean blender, combine the cashews and water and blend on medium or high until a smooth cream forms, about 5 minutes. Add maple syrup, vanilla, lemon juice and salt. Blend for 1 more minute. 5. Remove pie tray, pour cashew mixture on top of pie crust and smooth. Return to freezer to cool for 30 minutes to 1 hour. 6. 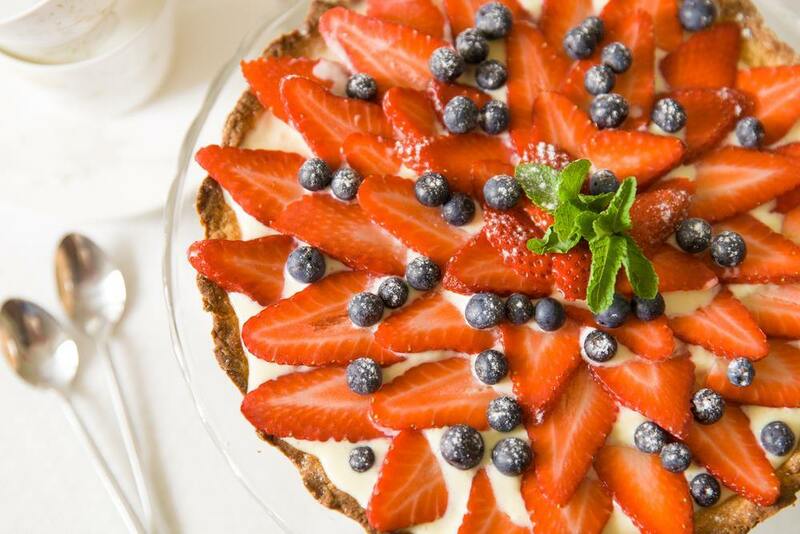 Remove pie from freezer and sprinkle the top with berries. Optional, drizzle maple syrup on top of the berries. Yie﻿ld﻿﻿﻿:﻿ 1 Large Pie has 6 to 8 slices.